The JustAdvice® Project hosts two three-hour sessions each week while classes are in session. 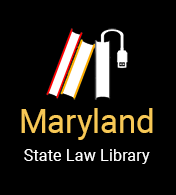 Customers are advised to call or visit the website (www.law.umaryland.edu/justadvice) to confirm sessions are currently being offered. Sessions are held on Tuesdays at the University of Maryland, School Community Engagement Center on the 800 block of West Baltimore Street and in the second floor library at the Maryland District Court at the corner of Fayette and Gay Streets in Baltimore City. The advice is free. During this meeting, customers can gain a better understanding of the legal issues they face and receive advice on how to proceed in order to resolve those issues. The program accepts walk-ins; however, scheduling an appointment is recommended by calling 410-929-4809 or by sending an e-mail to JustAdvice@law.umaryland.edu. We can also help with expungement of court records. Just Advice will assist with family law, housing, employment, expungement, insurance, SSI, tax, elder law cases.